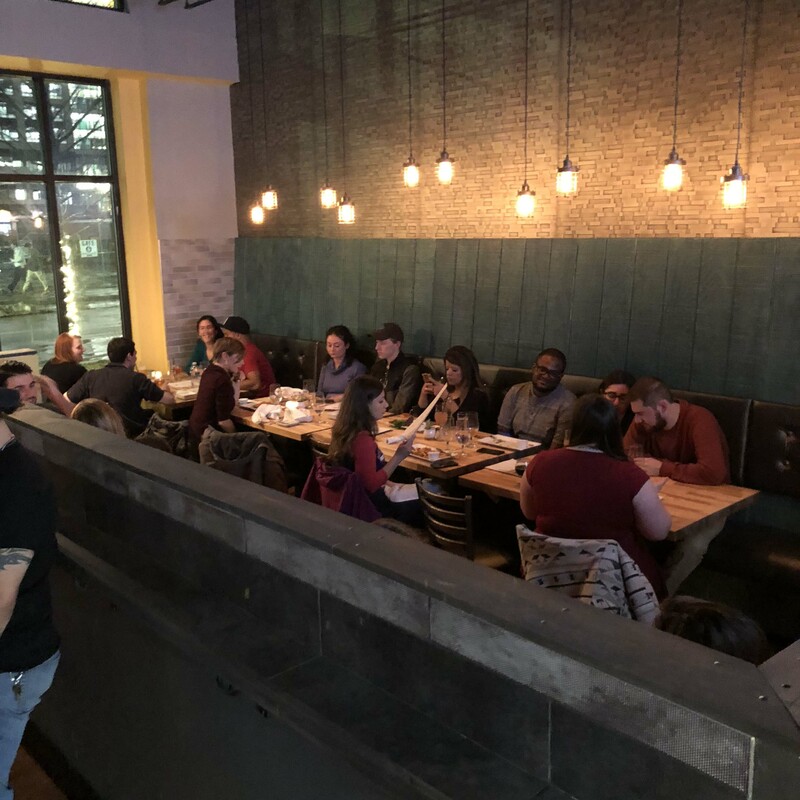 The West Dining Room at American Fresh Brewhouse in Assembly Row is a perfect space for a group of 12-16 people getting together for a sit down meal! This space is available Monday through Thursday from 11am-6pm and can be reserved in 2-hour increments. Rate: There is no minimum required to reserve this space. Guests are welcome to order from our lunch menu or dinner menu (depending on time of day). If reserving this space, please specify if this meal will be on one tab or individual checks.